I’m 10 days away from heading out on the open road and sea to Haida Gwaii for my residency. I’ve been blogging about the countdown on my CAMP Art Project site, so do head over there and have a look! 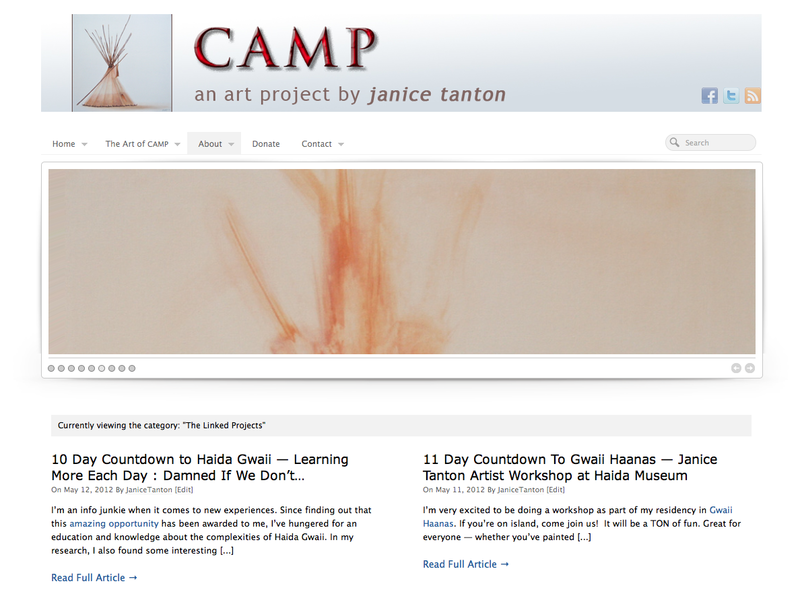 Camp Art Project Site - Subscribe for Updates! I’ll be hosting a workshop on May 27th at the Haida Museum, and setting up and photographing the installation, “No ReZervations Required” along the driving route to Prince Rupert, so I hope you will follow the CAMP art project blog linked my work. Some Days Are Just For Giving Thanks. CAMP :: The Lodge Series – New Major Paintings Just Off The Easel! Gwaii Haanas Marine – Parks Canada Videos!